Himeville – After what was a disappointing Absa Cape Epic by their high standards, the PYGA Euro Steel team will be hoping to get back to winning ways when they line up for the 2019 KAP sani2c Race from 16-18 May. Illness to Philip Buys in the lead up to the world’s premier mountain biking stage race last month meant that he and partner Matthys Beukes couldn’t fire on all cylinders. They showed what they were capable of when they won the Queen stage of the race, stage seven, and were in an exciting end-sprint for final stage honours too. “We tried to make the best of a bad situation and to get a stage win, and to push in the end-sprint on the final stage made the race better than it was looking for us.” Beukes and Buys will team up for the three-day sani2c again and the pair have been through a lot together as a combination. Through the years they have racked up an impressive CV of results and another sani2c title will be very welcome for the pair after the disappointment of the Epic. “Phil and I raced our first Epic in 2013 and since then we have been on the same team and ridden together for most of our races. “We are great friends off the bike. 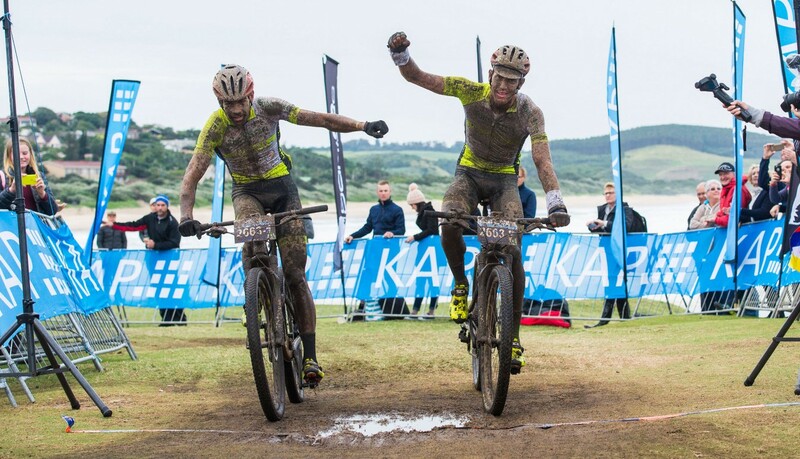 You have to be because of the amount of time that you spend with the other person!” The pair combined to win the KAP sani2c in 2017 but Beukes and Julian Jessop lost out on repeating their title triumph in 2018 when the NAD Pro team of Matt Beers and Nico Bell won the coveted title and they had to settle for third. Beukes has won two titles in the last four years with a 2017 triumph with Buys and a 2016 triumph with Gert Heyns. Despite losing out on the title in 2018, Beukes and Buys will go into the race with exactly the same mindset they would have taken into the event if they had won twelve months ago. “We go out and try and win every race that we ride in whether we are defending champions or not,” he explained. 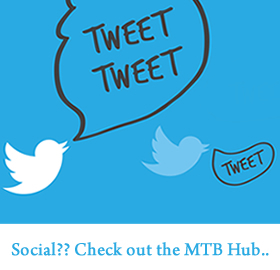 “The sani2c is one of the biggest titles you can win in the country with such a strong field there every year. 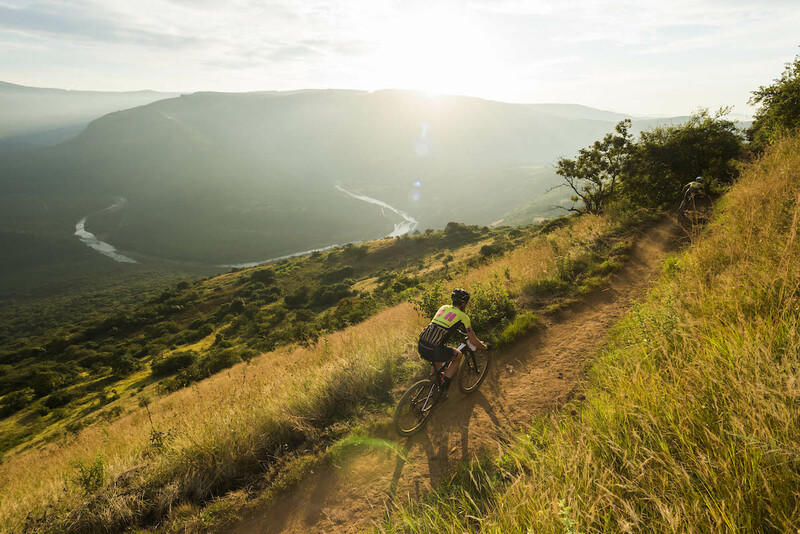 It is definitely in the top three races you want to win.” The sani2c offers some exciting trail throughout with the famous ‘Umko Drop’ on day two being a favourite element for a lot of riders, including Beukes. “I love day two. The drop into the Umko is always special. 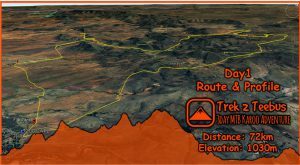 “It’s probably one of my favourite days of riding on the South African calendar! “The longer climb out of the valley is also something that is more suited to me and I look forward to that too,” he added. Phillimon Sebona and Pieter du Toit will also be at the event for the PYGA Euro Steel team.